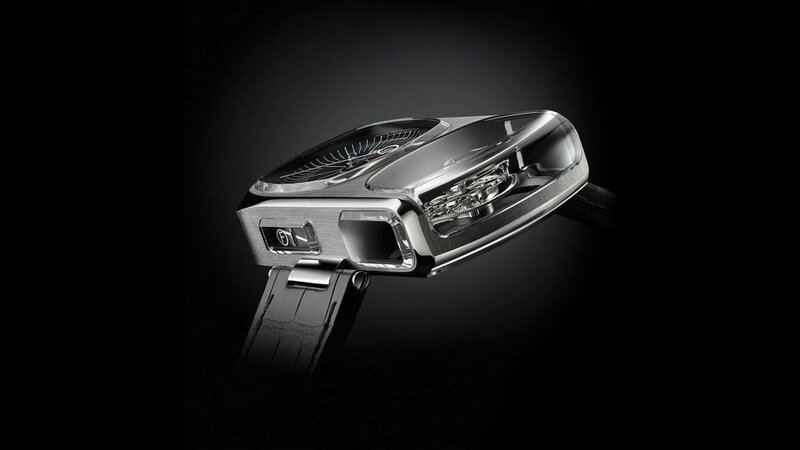 The very best of classic haute horlogerie blended with ultra-modern watchmaking production methods. Dating back nearly 125 years, Angelus has been one of the most influential horological manufactures of the last century with creations like the Chrono-Dato and Chrono-Dato Lux and other calibers commissioned for well known brands. Connoisseurs of high-end watchmaking have universally hailed Angelus’ pioneering, in-house developed movements and timepieces during the 1940’s 50’s and 60’s. 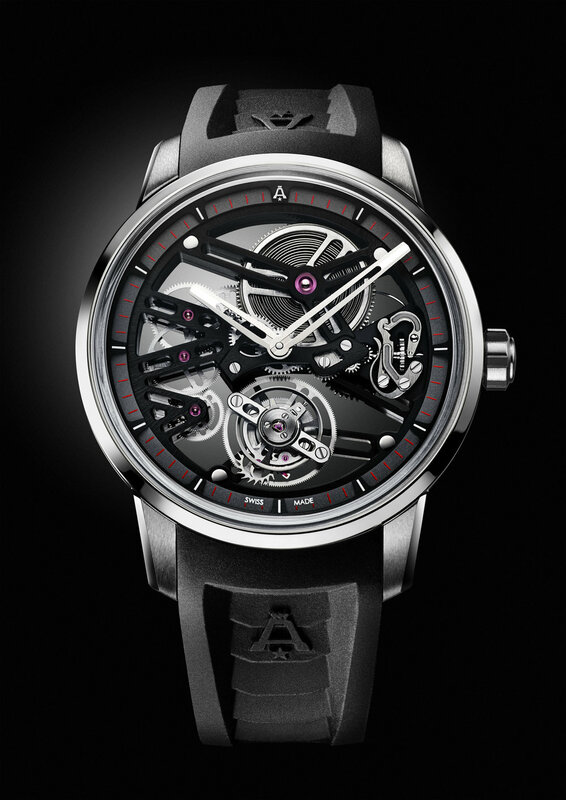 After several years of developing the next generation of Angelus timepieces at its manufacture in La Chaux-de-Fonds, the revamped Angelus under its new parent company, La Joux-Perret, unveiled its first collection of the 21st century, the Urban collection, upholding the brand’s reputation for innovation. 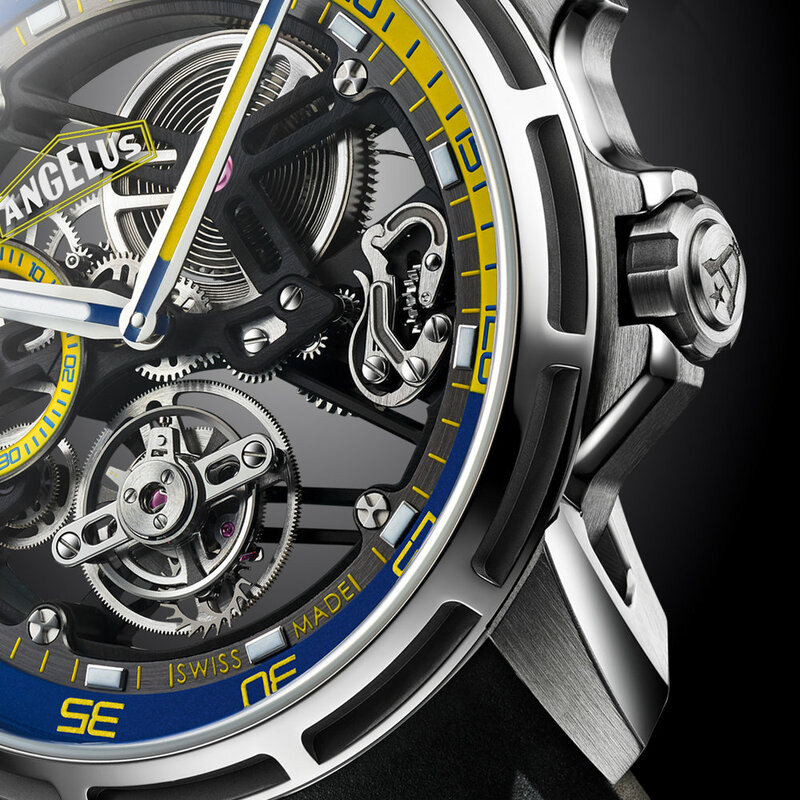 Like an Angelus timepiece, the Angelus manufacture blends the very best of classic haute horlogerie with ultra-modern watchmaking production methods. While the Angelus manufacture employs a number of skilled artisans who use time-honored techniques and tools to delicately craft and finish components using traditional methods, it also boasts a state-of-the-art production facility featuring semi-automatic machines – lathes, milling machines, drills, pointing and centering tools – and CNC machines programmed and operated by experienced technicians, engineers and watchmakers. 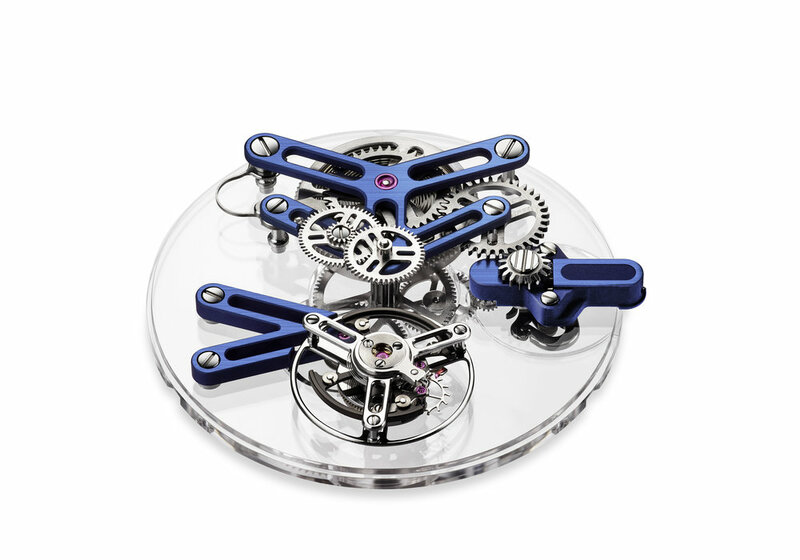 The manufacture embraces horological tradition by working classic materials such as precious metals, steel and brass, as well as the challenges and possibilities presented by modern materials, e.g. marrying steel, copper alloys, aluminum, titanium and carbon fiber. Where necessary, components and materials undergo thermic treatments – tempering and annealing, for example – to make them more resistant..
Today, the new Angelus base is a stone’s throw from where the Stolz brothers set up their first watchmaking manufacture in 1891 in the heart of La Chaux-de-Fonds, Switzerland.